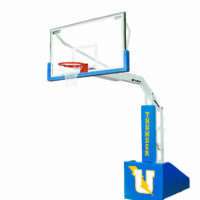 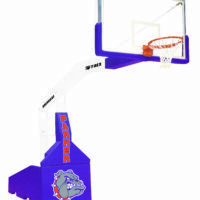 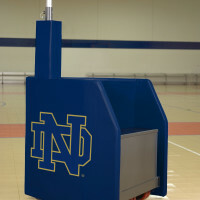 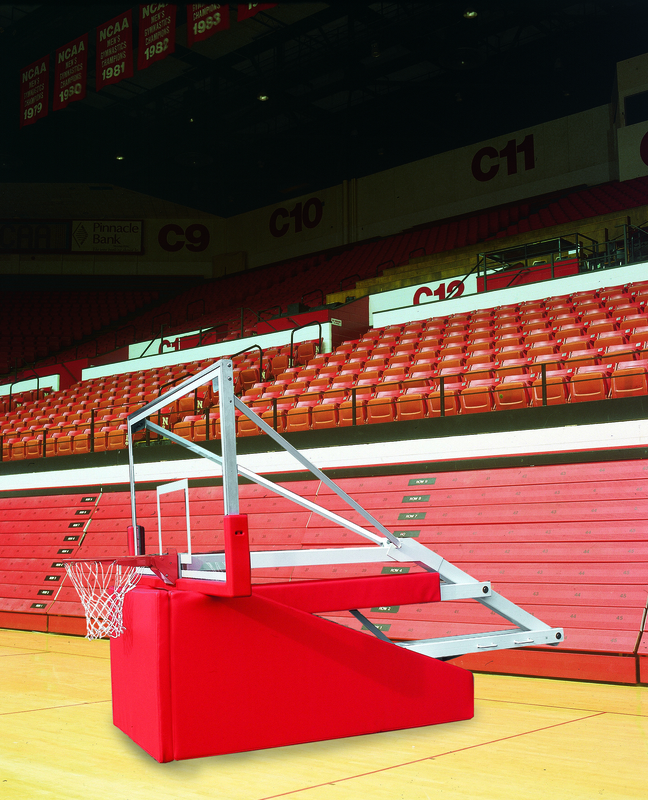 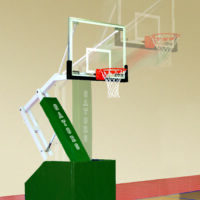 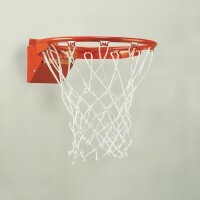 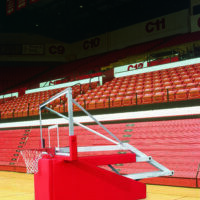 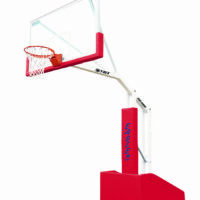 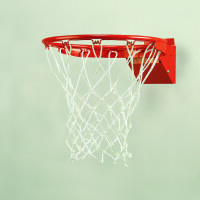 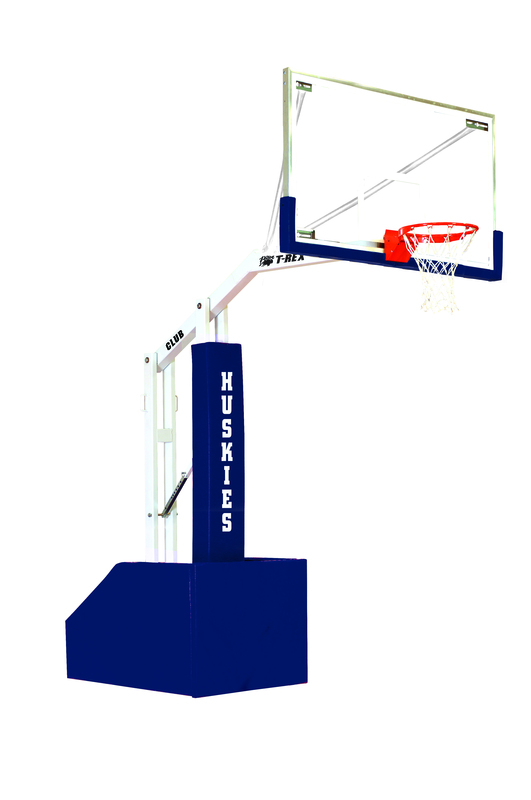 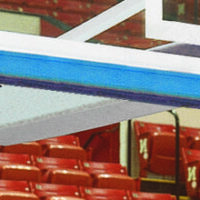 T-REX® Club Portable Basketball System - Bison, Inc.
T-Rex Club satisfies the need of many programs looking for a quality spring assisted portable system with a full size glass backboard and breakaway goal but are dealing with even more limited space and budgets. 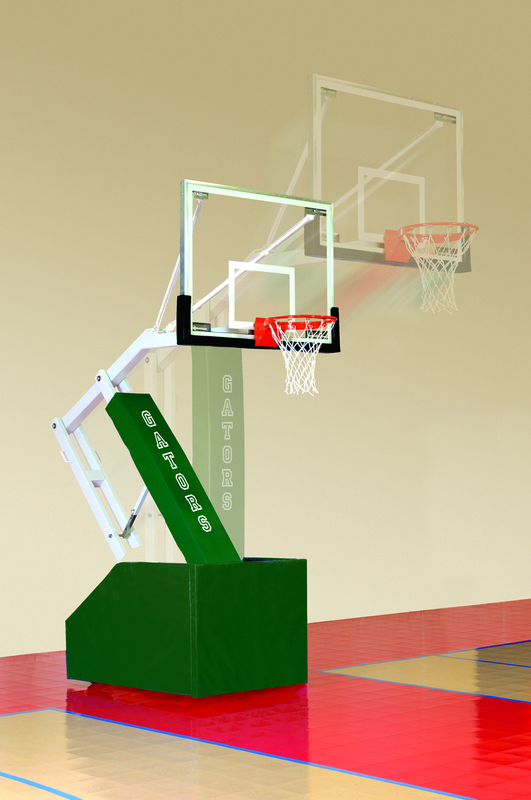 Club is designed to have many of the durability, stability and safety features of other T-Rex systems but the base has been downsized for space and cost considerations. 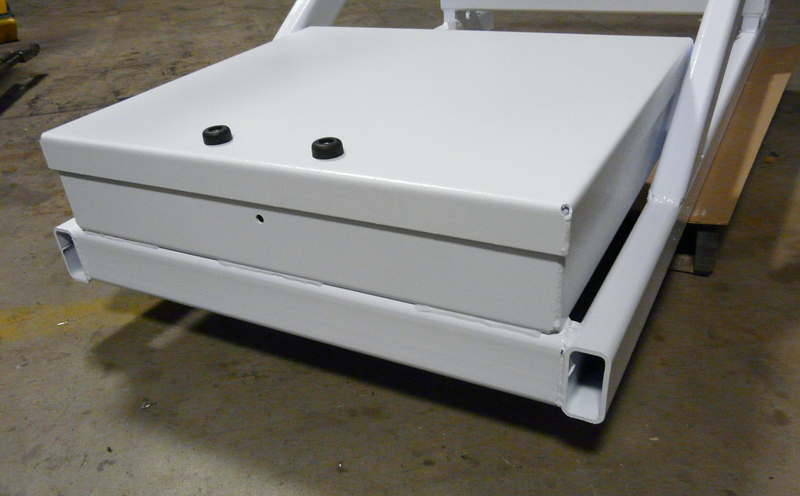 While Club costs and weighs much less than other models, its 950# of factory installed hidden ballast still provides superior tip over stability even without use of optional rear hold downs. 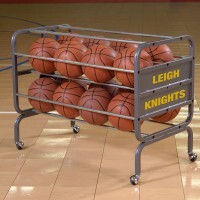 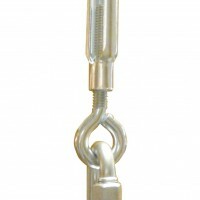 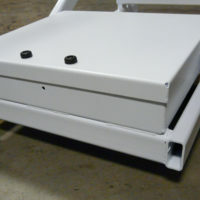 Its lighter overall weight and size allow easier set up, tear down, transport and storage.